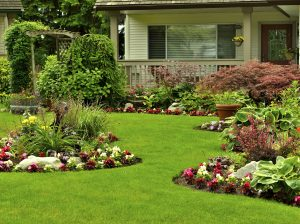 JFK’s Spring Lawn Care Cleanup will showcase your property’s beauty! 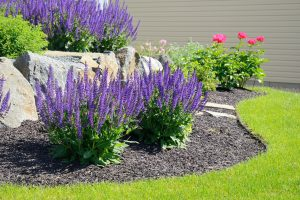 With spring quickly approaching, it is a good idea to start planning for warmer weather with your landscaping efforts. We have compiled a list of landscaping tasks to help get you ready for the upcoming season! There are several of benefits to mulching your landscape. It helps the ground retain moisture, highlights plant life, stops erosion and helps with weed control. At the start of the spring season, apply 1-2 inch layer of mulch around trees and shrubs. A flower bed should be a highlight in your yard. Since it should be a focal point, you want to ensure you are keeping it at its best. Before the start of spring, spend some time clearing out your flower beds of all the debris that accumulated in them during the winter months. Now is the time to inspect the trees in your yard to see how they survived through the winter season. If there are any damaged branches, now is the time to prune them. However, you need to be careful when pruning branches because you can easily hurt the tree if you are not careful or are inexperienced in the matter. This is an example of a job you may want to leave to a professional. Most homeowners don’t even think to test the soil in their yards. However, it is a good idea to check your soil to ensure that it is at the correct pH level. If you discover that the ground is in need of nutrients, you may need to find a fertilizer to correct this issue. Weeds are blemishes to your landscape. If enough of them accumulate in your yard, they can negate the beauty of your flowers and other plant life. In addition to weeding your landscape, you also may want to consider using a weed preventer as well. Our Spring Lawn Care Cleanup will showcase your property’s beauty after the long winter by removing debris and cleaning flower beds and bushes. We can get your lawn, trees, shrubbery, and plants in shape and ready for the new growing season! This entry was posted on Thursday, March 15th, 2018 at 4:12 pm. Both comments and pings are currently closed.